The words 'he' and 'his' herein signify either gender. The needs of the working-age individual include those of his dependants. S is each individual's proportional share of the habitable land of this planet. L is the total area of habitable land on this planet. P is the working-age population of this planet. C is a factor to compensate for variations in land productivity. The life of every human being - wherever he may be at any time - shall be allowed, protected, respected, sustained, and fulfilled. A human being's life in­cludes both the biological and physical functionality of his body plus the intel­lectual, emotional and spiritual functionality of his conscious mind. The life of each individual shall be sustained by providing all with equal and adequate means and opportunity to acquire and consume their needs of life. Needs of life include: 1) natural daylight, fresh air, water, food, clothing, energy, shelter and health care for the body and 2) access to companionship, education, wise counselling and an inspiring natural environment for the mind. The life of each individual shall be fulfilled by ensuring that all have freedom - of movement, information, thought, expression, relationship plus the freedom to determine each his own desired balance between privacy and social inclu­sion. Each human being born on this planet shall, from birth, inherit his share of its habitable land, which is called his landshare. Upon reaching working age, he shall inherit, further, the right to the exclusive sustainable economic use of his landshare. These rights shall continue for the duration of his life, at the end of which his landshare shall become available for reallocation. If - at any time - he be unable to provide his own needs of life from his land - due, for example, to his own physical disability, accident or the inclemency of nature - he shall receive his needs of life from the surpluses produced by others. He may not dispossess himself of his landshare or exchange it for anything other than an equivalent landshare by free and unpressured mutual agree­ment with its owner. No individual, group or authority may dispossess any in­dividual of his landshare. When people marry, their landshares may be com­bined into a single economic unit. This may result in one or both of their landshares being re-allocated so that the two landshares become physically adjacent. Neither landshare of a couple shall be vacated and reallocated until both have died. Each individual has the right to use his special abilities to produce goods and provide services, and to use these for his own benefit or exchange them in fair measure for the different goods and services produced and provided by others. Each individual shall be given subsistence and expenses incurred in the execution of his social duties. Each shall have the right to be judged in any dispute exclusively according to the clear reason and conscience of those appointed to judge him, half of whom shall be peers of his own immediate community. His actions towards another shall, according to his reason and conscience, expedite the best compromise between his and the other's fundamental rights, declared wishes and best interests. Insofar as he is able, he shall use his land as his means of turning his labour into his needs of life. He shall also - insofar as he is able - apply a fair share of his labour to the land of those of his community who are themselves unable to work in order that their land may provide their needs. He shall try to use his land sustainably so that at the end of his working life it is in at least as good a condition as it was at the beginning. Provided that at any time he shall have sufficient for his own basic needs, he shall give a tenth of the naturally generated economic gain of his land to fund the subsistence and expenses of those performing social duties. In addition, he shall give his surplus when in a time of plenty to those who are in a time of need. He shall make his knowledge and intellectual property freely available to all, and devote an appropriate proportion of his time to giving and receiving edu­cation. He shall apply his specialist skills and talents to providing products and services which he may exchange in a free market for those of others. It is the duty of all freely to protect the life, land and possessions of each from the misdemeanours of mankind and from the ravages of nature. He shall, when called upon in fair measure by the parties concerned, combine with peers to arbitrate in accordance with his reason and conscience in a dis­pute. The first order of society is the family. It comprises one working-age couple + their children + such members of the retired generation as are appropriate and fairly agreed with other families with whom they have links. The second order of society is the community. It comprises from 50 to 100 working-age individuals. An existing community which grows beyond 100 working-age individuals shall split into two, each of which shall contain at least 50. An existing community which falls below 50 working-age individuals shall accept excess individuals from, or merge with, another community. The final order of society is the world. This is a complex dynamical system whose universal structural element is the community. Its entire operation is governed by an Inter-Community Protocol which defines how communities interact. Each community shall organise and sustain an educational programme to im­part both local and global knowledge and skills to each individual within it. For this purpose, all communities shall make all educational material freely avail­able through a global communications network. The educational programme shall cover the full human life-span. It shall be flexible so that nobody is left behind or misses out through particular personal circumstances. Each community shall organise and sustain a fair and equitable system of arbitration for resolving disputes between individuals within it. When reason­ably called upon to do so, members of a community shall act as arbitrators between disputing individuals from two other separate communities. Each community shall count its working-age population every 50 years and pass this value to those whose specialist duty it is to re-determine P, C and S over the planet's habitable surface. Each community shall then co-operate with its neighbouring communities to re-allocate landshares for the next gener­ation. Individuals may associate to share a common interest or co-operate in a common endeavour, but an association or co-operative so formed has no status as an entity separate from the individuals it comprises. A relationship or dispute may only exist between individuals. A community, association or co-operative cannot enter into a relationship or dispute with an individual, community, association or co-operative. Arbitrators may suspend one or more of an individual's rights in order to inhibit his wilful violation of one or more of another's rights, or in the event of his unjustifiable wilful neglect of one or more of his duties. Equal resources must be provided to both individuals in a dispute with which to present their cases to their arbitrators. This provision must be made by each individual's respective community. One of many definitions possible within the context of the Draft Manifesto proposed in the book 'The Lost Inheritance'. Of particular significance are phases 2 and 3. Between the ages of 20 and 30 years, I propose that a person not own any economic means. He would work for his parents (or guardians) and gain working knowledge. 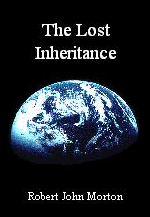 At the age of 30 he would start to take possession and control of his terrestrial inheritance (land). This process would be completed when his elder parent reached the age of 70 and retired. At the age of 70, he himself would retire and pass on possession and control of his terrestrial economic resources (his land), and take on the role of wise counsellor to those to whom it passed. Neighbours are prone to dispute over the position of the boundary between their lands. Fence posts can have a habit of creeping one way or the other, leading to an unhealthy resentment that is for the most part buried beneath an ambient feeling of mutual distrust. The position of a boundary is defined by outsiders. No two shares of land can have a common boundary. A buffer zone of com­mon land must separate shares. This is to allow the traveller free passage over the whole Earth, and space where he may comfortably break his journey along the way. Land boundaries are marked out with marker posts, which are of a universally recognised design. Boundary posts are physically put in place also by outsiders. Outsiders are herein defined simply as people who live far away from, and have no social connection with, the community containing the bounded land. Revised and augmented by Dayse do Nascimento Silva in 2004.